Vivaldi - Customize Everything, Make the web yours. We are all absolutely unique and we want different things. 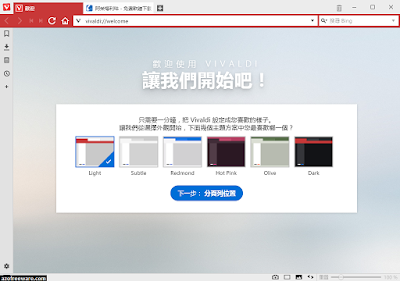 Vivaldi web browser lets you do things your way by adapting to you and not the other way around. You prefer the browser tabs placed at the bottom or on the side of the window? – You prefer a different address bar location? Go ahead and customize your preferences be it your keyboard shortcuts, mouse gestures, appearance and so on.